Dubai Municipality on Wednesday honoured the participants and sponsors of the Clean Up The World Campaign 2010 as well as the media representatives at a ceremony held at Dusit Thani Dubai Hotel. Eng. Salah Amiri, Assistant Director General for Environmental and Public Health Services Sector, Eng. Abdullah Raffia, Assistant Director General for General Support Services Sector, Eng. Hassan Makki, Head of Clean Up The World 2010 Team and Director of Sewage Network Department and AbdulMajeed Saifaie, Director of Waste Management Department and other senior officials of the Municipality were present on the occasion. The sponsors of the campaign, representatives of voluntary organizations and media that contributed to the success of the clean up drive were distributed with trophies, certificates and gifts. Makki noted that this year’s campaign was a resounding success as there was a phenomenal increase both in the number of participants and the volume of garbage collected. “The number of participants last year was 24,148, whereas this year it crossed 30,000 and the amount of waste collected rose from 5,199 tons in 2009 to 7,205 tons in 2010. These figures were just 20,500 participants and 4,150 tons in 2008,” he said, noting that this would not have been possible, had there not been greater cooperation from schools, green organizations, private firms and government departments. He noted that participation from different organisations and volunteers was overwhelming. “We initially expected just over 25,000 volunteers. But, the number soared to 30,170 with people from all walks of life coming forward to serve the environment they live in. We had to stop registrations as people continued to contact us even after the scheduled time for registration was over. This shows the high level of environmental awareness among Dubai’s residents and their commitment towards keeping their surroundings clean and tidy,” said Makki. The campaign was launched on 26 October 2010 in a ceremony at Jumeirah Beach Residence by Eng. Hussain Nasser Lootah, Director General of Dubai Municipality in the presence of senior officials of the Municipality and representatives of government and private establishments and voluntary organizations involved in the campaign. Lootah had also launched two Trash Skimmers (Vessels used for cleaning up water channels) at Dubai Creek on the second day of the campaign as part of the activities of the clean up drive. Makki said during the 4-day campaign, 23,792 volunteers from 402 private companies, NGOs, community groups, associations, clubs, and hotels, and 17 government departments cleaned up beaches, streets, open areas and several key sites under the supervision of staff from the Waste Management Department. In addition, 6,378 students from 45 government schools and colleges and 37 private schools and universities have participated in the campaign. Various community groups have participated in the campaign with more enthusiasm this year. "The participation of Indian and the Filipino communities in the campaign was praiseworthy, as they sent in the largest number of volunteers in cleaning Jaddaf and other areas. Other communities living in Dubai have also made significant contributions to the campaign's success," he said. He noted that in a symbolic gesture to drive home the message of a clean and green city, 33 companies had lent machinery for towing away vehicles abandoned by owners in different parts of the city. A total of 61 abandoned vehicles were removed from different parts of the city during the four days of the campaign. In addition, a total of 73 pieces of bulk waste including furniture, air conditioners and refrigerators were also collected during the clean up operation. The awareness programmes, organized on the sidelines of the campaign at shopping malls, included workshops for general public on recycling and reducing waste, environmental painting, Municipality Souq for plastic bags, environmental workshops on making usable materials from waste, distribution of saplings to public to encourage horticulture and its role in curbing climate change, and distribution of awareness publications. In cooperation with Hamdan E-University variety awareness programmes were organized focusing on PC recycling. The educational programmes for schools included broadcasting campaign programmes on school radios, lectures and workshops for school students on the importance of waste reduction, arranging visits for students to waste recycling factories and natural sanctuaries in the emirate of Dubai, comprehensive educational programme for schools on the role of waste reduction in protecting the environment and curbing the phenomenon of climate change and waste recycling competition for schools and public. 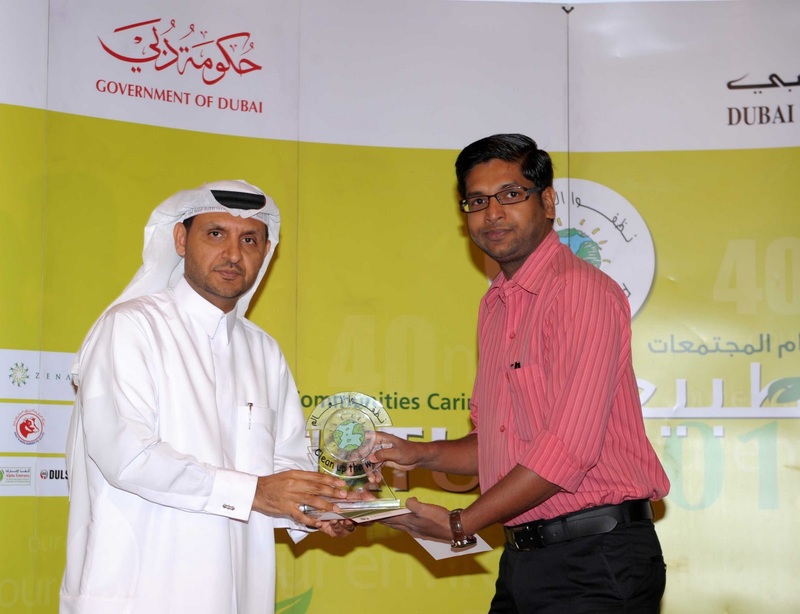 The Municipality's Environmental Awareness Section organized special awareness programmes for Dubai Municipality staff. 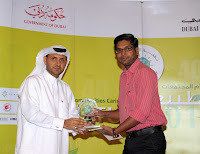 The programmes included encouraging employees to participate in the Green Box campaign, which was a charity programme. They were asked to deposit used materials such as electrical equipments, bags, stationery items and household furniture) for distributing them to the needy among the employees. In addition to that there was a Used Books Collection campaign, providing information on the occasion through email, sending SMS to Municipality mobile users and placing the campaign theme on the PCs in the Municipality. The main areas for clean up activities were Nadd Al Shiba, desert area in Wadi Al Amradi, bachelor accommodation areas in Al Quoz, Nadd Al Hamr, Al Khawaneej, Al Aweer area behind Defence Camp, Al Qusais Labour Camp and Ras Al Khor Natural Sanctuary. Other areas included Jaddaf Fishermen's Village, Jumeirah-1 Fishermen's Village, Heritage Village area, Jumeirah and Umm Suqeim open beaches, Hatta Tourist areas, Industrial areas, Jebel Ali Port Free Zone area, Diving Beach and Creek, and labour camps. A photography competition was also conducted on the occasion in coordination with FPGL establishment. Thousands of high-quality T-shirts and caps, printed with the campaign’s logo, were distributed among the volunteers. The event was supported by Zenath Recycling & Waste Management LLC of ETA ASCON Group, Dusit Thani Hotel, Union Paper Mills, Tetra Pak Export, Gulf and Safa Dairies, Alpha Emirates, DULSCO, Future Pipe Industries, Fujairah Plastic Industries and Al Ain Mineral Water Co. Cleaning Services in Dubai is often a highly discussed topic. Thanks for this awesome post & Keep posting!!! !